You might have heard about the “No Shampoo” (or “No Poo”) movement that’s been creating some buzz in beauty circles. It first came on the scene sometime in 2014, but made a comeback in recent months. 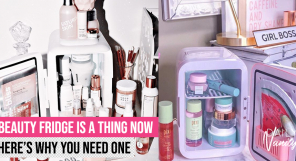 If you have been following news about the “no poo” trend, you’ve probably also heard of the unbelievable, try-it-to-see-it results – shiny, full, and frizz-free hair that hasn’t been touched by shampoo in months, or even years. 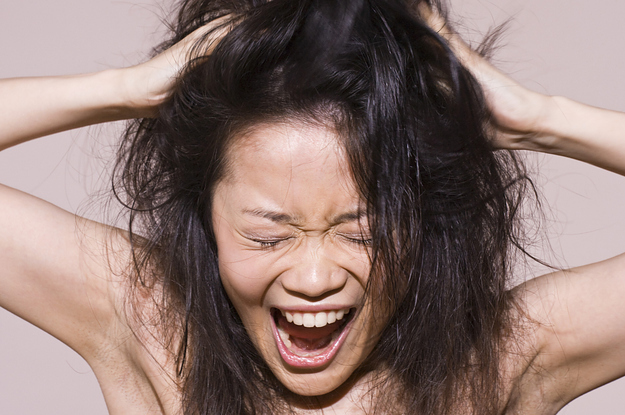 Is shampoo actually damaging to our hair just as these converts claim? Those who advocate “No Shampoo” believe that while shampoo does its job in cleaning our scalp, it is chemically too strong for our hair. 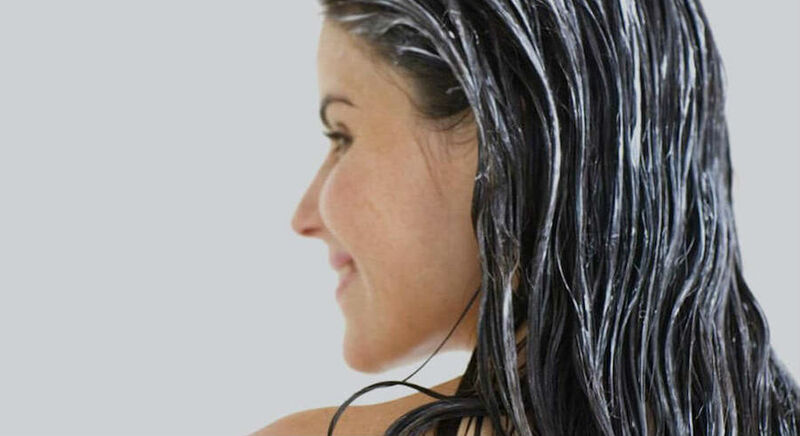 Shampoo tends to over-strip the scalp of natural oils. 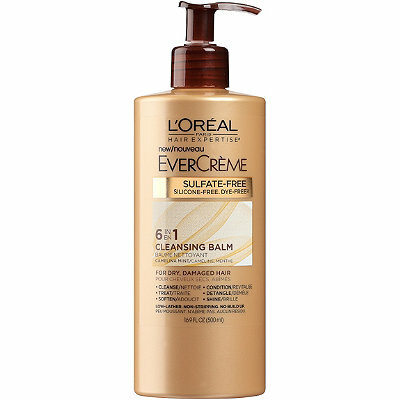 This leaves us with drier and frizzier hair, especially at the ends. Some also say shampooing causes an overproduction of oil, leading to an oily scalp. Advocates also say that less than a century ago people didn’t even use shampoo, and they turned out fine! 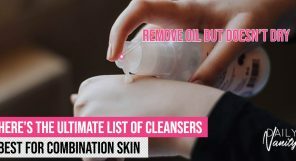 But before you get ready to throw out your shampoo bottles, make sure you know what you’re doing by reading the following first. Does this mean that I don’t wash my hair? If you must wash your hair every day to feel clean, you may have just shuddered at this thought. Actually, no shampoo doesn’t mean no hair-washing. Our scalp produces oils everyday and we do need to clean it on a routinely basis. There are many organic substitutes for shampoo that “no shampoo” advocates use. 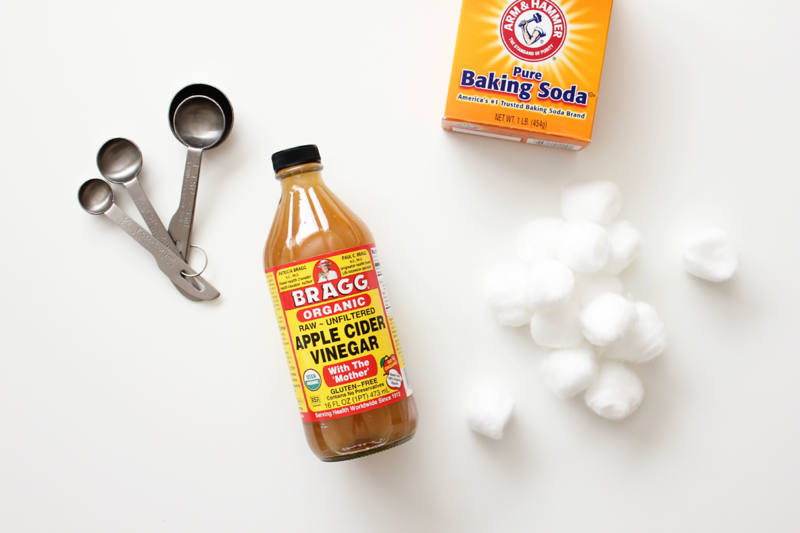 The most well-known of all, though, is the baking soda-apple cider vinegar mixture. Get an empty bottle and fill it halfway with water. Add an equal amount of apple cider vinegar (you can buy this at most supermarkets). In another empty bottle, add baking soda and water in the proportion of one teaspoon of baking soda to one cup of water. Keep these two bottles in easy access from your shower. Shake the bottles before using, since the mixture tends to separate. 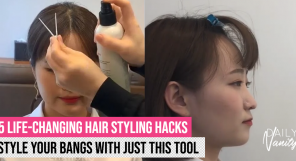 Now, on wet hair, apply the baking soda mix to sections of hair. Focus on your scalp and use your fingertips to massage the mixture in. After rinsing this out, do the same with the apple cider vinegar mix. Rinse well. 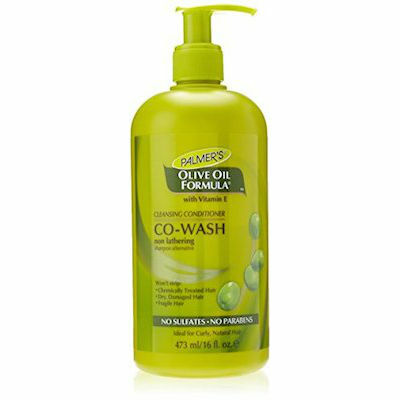 DV Tip: Although this substitutes your shampoo, use this only when absolutely necessary, which should be about once to twice weekly. If you must wash your hair in between these washes, use only clear water to wash your hair. Any other tips for maintaining healthy hair while doing this? Besides cutting shampoo out of your life, there are things that you can do outside of the shower to help your hair grow more healthily. 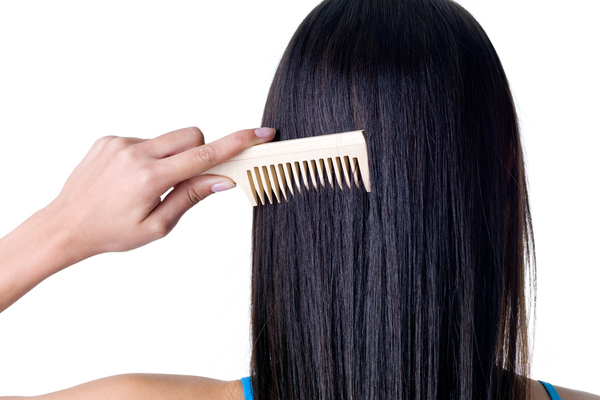 Regular brushing of hair can help to distribute oils from the scalp to the lower ends of your hair. 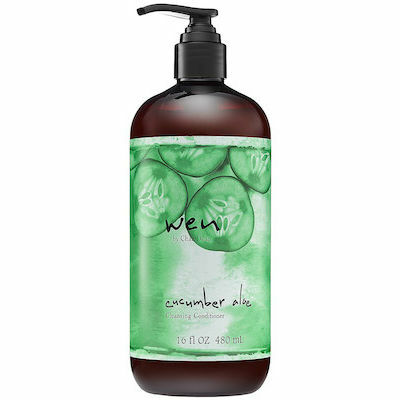 This helps to nourish your hair ends, which are often the driest part of your hair. 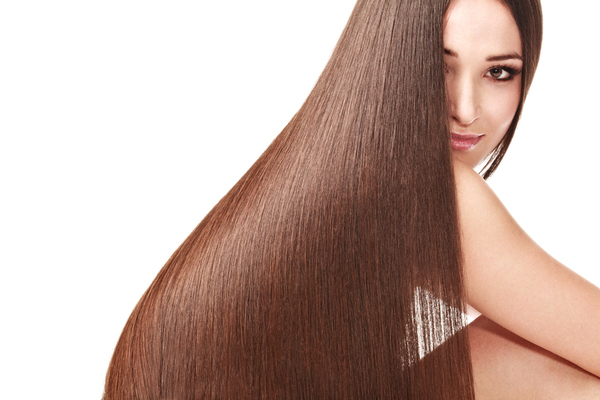 As a bonus, brushing your hair stimulates blood circulation to your scalp, helping your hair grow faster and stronger. DV Tip: Never brush your hair when it is wet, unless you are using a brush specifically made for wet hair. Hair is most fragile and prone to breakage when it is wet. When getting out of the shower, squeeze excess water out of your hair with a towel or old T-shirt before blow-drying or air-drying. Be careful not to rub it dry since the friction generated causes frizz and hair breakage. Sleep on a silk pillowcase to minimise friction to your hair when you move around in your sleep. Silk pillowcases are gentler to your hair and prevent unnecessary breakage or loss of moisture. Is “no shampoo” suitable for everyone? Generally speaking, the “no shampoo” approach benefits all hair types, since it is a stripped-back and natural method for maintaining hair health. Apple cider vinegar is even known for its dandruff-treating properties. However, those with coloured hair, bleached hair, or treated hair might not be suitable for the “no shampoo” movement. This is simply because these hair types may require more specific hair-care routines. Ultimately, though, it is important to also listen to what your hair needs and adjust accordingly. I’m ready to begin! How should I prepare myself mentally? 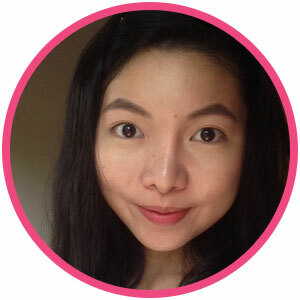 Now that you can’t wait to see a future where your hair is gorgeously voluminous and glossy, let’s get down to the nitty-gritty of it. There is definitely going to be a transition phase with this new “no shampoo” method. For some, this phase may take a few days, but for others this could be a torturous few weeks or so. During this period, you may find your hair condition getting worse, like it is becoming greasier and limper by the day. 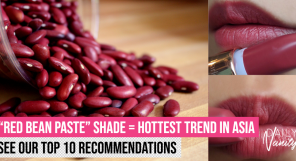 (Here’s one last tip: dry shampoo!) In any case, it may help in motivating you to persevere to know that your hair is ultimately going to turn out softer and easier to style. Knowing that there is a transition phase will help you with managing expectations should you choose to go “no shampoo”. Good luck!